The TDS Parents’ Association organizes a number of ways for parents to support the school in the local community. Please support our school by utilizing the programs described below. Join Harris Teeter’s Together in Education Program or (even easier) fill out our form to in order for TDS to sign you up. You may also link your VIC card when you pay at checkout. The school code is 2591. View a list of products with BoxTops! Send in box tops to your child’s teacher. TDS earns ten cents for each box top. Information about Dine-Outs is posted in the Parents’ Association section of the weekly newsletter. Enjoy a cooking-free evening with friends at a local restaurant, and a portion of what you spend is donated to TDS. Now you can buy gift cards for your favorite restaurants and earn money for TDS. Popular restaurants include: Applebee’s, Arby’s, Bonefish Grill, Boston Market, Cheesecake Factory, Chili’s, Chipotle, Cracker Barrel, IHOP, Little Caesar’s Pizza, McCormick & Schmick, Noodles & Co, Olive Garden, P.F. Chang’s, Pizza Hut, Red Robin, Ruby Tuesday, Ruth’s Chris, Smashburger, Starbucks, Subway and Texas Roadhouse! TDS sells you these gift cards at full price, (i.e. 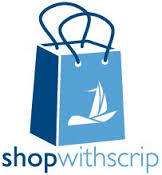 $50 gift card for $50), and we earn 2%-18% from Scrip. These gift cards do not expire or incur any fees. Please look for details about when/how to order in the weekly newsletter. See Scrip below for our earnings from last year. TDS earns 0.5% of most of your Amazon purchases automatically! AmazonSmile is the program. Simply click HERE or go to smile.amazon.com. Login with your regular Amazon password. Choose Triangle Day School as your charity. Your shopping cart, Wish List, AmazonPrime and other account settings are also the same. Eligible products are marked “Eligible for AmazonSmile donation” on their product detail pages. Now you can buy gift cards from your favorite retailers, hotels, etc and earn money for TDS. TDS sells these gift cards at full price, ($50 gift card for $50), and we earn 1%-16% from Scrip. These gift cards do not expire or incur any fees. View the List of Scrips Available; details about when/how to order will appear in the weekly newsletter. Spread the holiday cheer to TDS! Purchase your holiday cards, invitations, art and gifts for the home on Minted with a special promotional discount. Information to come later this fall. On behalf of the Parents’ Association, thank you for supporting these initiatives.